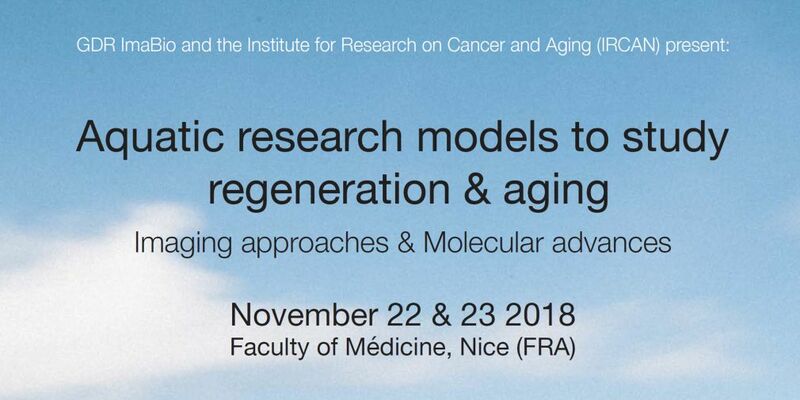 This workshop is kindly supported by Zeiss (www.zeiss.fr), EMBRC-France (www.embrc-france.fr) and Planktovie (www.planktovie.biz) and and will gather scientists that work on aquatic (freshwater and marine) models in the field of regeneration and aging to discuss molecular advances as well as the latest imaging tools developed in the various aquatic organisms. The workshop will take place in Nice (France) at the Centre Antoine Lacassagne, located in close proximity to the School of Medicine and the IRCAN. This workshop is limited to 50 participants and in addition to the confirmed invited speakers (see below), ~15 slots are available for short selected presentations. There are no registration fees and the organisers cover costs for the meeting, coffee breaks, lunch & dinner on Thursday as well as coffee break Friday morning. However, travel and accommodation are at charge of the participants.